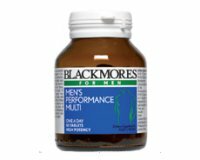 Blackmores Proseren® contains a clinically trialled dose of the herb saw palmetto which has been shown to relieve the symptoms of medically diagnosed benign prostatic hypertrophy (benign enlargement of the prostate) and may assist in the management of this condition. - Benign prostatic hypertrophy (BPH) is a slow progressive enlargement of the prostate gland. Symptoms include frequent urination (particularly at night), hesitancy and impairment of urinary stream. - Results of clinical trials indicate that saw palmetto can assist in the relief of symptoms of BPH. The actual mechanisms of action of saw palmetto in BPH are still not clear, but are thought to be due to its ability to reduce inflammation and oedema and reduce smooth muscle spasm. Saw palmetto has been shown to improve residual urine volume and urinary tract symptoms, such as night time urination and poor urine flow. - Of particular interest is that scientific review of evidence for the use of saw palmetto concluded that it decreases the symptoms of BPH, with few side effects and no changes to PSA levels. Saw palmetto does not artificially lower PSA levels, hence it is unlikely to mask the presence of prostate cancer. 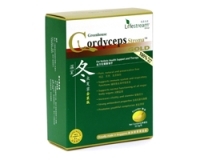 Adults - Take 1 capsule morning and evening, or as professionally prescribed.